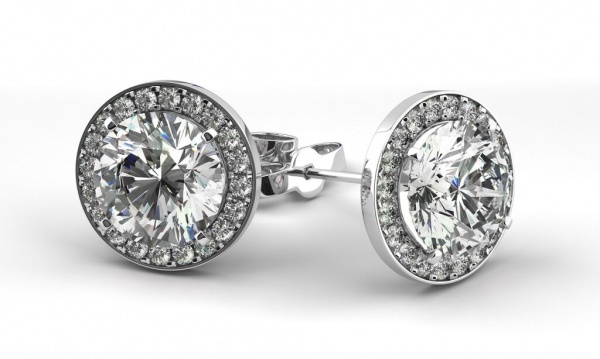 Diamond jewelry has always been a source of luxury and admiration for women and men alike. But the beauty of these sparkly rocks isn’t the only thing that makes us invest in the bling. Due to its hardness, diamonds are among the few gemstones that can be recycled. They can be polished and set into a piece of jewelry – be it a ring or a necklace – then removed, sorted, recut and set again. Depending on the type of diamond, the process might be endless. A lot of people think it’s perfectly normal and beneficial to upgrade diamond jewelry these days. While women claim upgrading is a budget-friendly way to jazz up their jewelry routines, men believe it’s a quick and safe way to earn heaps of cash. The downside is some jewelry stores’ trade-in prices are very deceiving and you may end up paying double or getting less than expected. This is why it’s crucial to do your own research before upgrading any piece of your diamond jewelry. Let me offer you a little guide that will help you get the best deal possible. The most common misconception about a diamond jewelry upgrade is that you lose more than gain when selling your diamonds. This is completely false. Unless you sell or trade in your bling to shady dealers, upgrading diamond jewelry has a number of positive benefits. Not only do you get rid of the jewelry piece that you no longer wear, you also have an opportunity to get a brand new piece without wrecking your budget. There are different situations when you may want or need to trade in or sell your diamond jewelry. Some people sell their rings after divorce. Many couples trade in their old rings to renew their vows. Others sell their diamonds because they urgently need money. Only few people want a bigger-sized diamond to boast about their prosperity. No matter your reason, if you feel like it’s time to upgrade your diamond jewelry and you’re emotionally ready for it, then start the process. When we want to sell precious things, a pawnshop is something that comes to our minds first. This is actually the last option to consider. Today, companies that are into diamond recycling offer plenty of great deals that are beneficial to both the seller and the buyer. However, when you know nothing about diamonds, it’s easy for you to become confused and overwhelmed. So, before you rush to a diamond dealer, make sure you know your stone’s characteristics and general diamond prices. If you want to sell or trade in your diamonds with little fuss and stress, target a diamond dealer or professional jeweler. Selling to the public is an option too. Online classifieds like Craigslist and eBay help people get more for diamonds (or other things they sell) than industry insiders offer. On the other hand, it takes a lot of time and effort to sell your bling on any of the popular and trustworthy platforms. The choice is yours. First of all, never buy into the myth that you can get up to 60% off when trading in your diamonds, as it’s usually a trick many diamond dealers use to draw more clients. If you are looking to get fabulous deals, consider upgrading your diamond jewelry online to get up to 20% off. Choosing to trade in or sell online isn’t always about getting the best deals and price, but is a great time saver for busy people. Just be sure to investigate the website. If you feel like the dealer is unscrupulous or suspicious, keep searching. Don’t let them deceive you. Setting a realistic price, knowing the quality and authenticity of your diamond, and staying alert when settling the deal are some of the most critical things to keep in mind when upgrading your diamond jewelry. The more information you know about your diamond jewelry such as carat weight, shape, cut, color, and clarity, the better deal you get. Ask a qualified appraiser to help you determine a realistic price. One of the challenges of upgrading diamond jewelry is to find a reputable jewelry dealer that offers price transparency and not ‘fake’ deals. The way out is investigation. Careful research based on proven advice will help you make your diamond upgrading process more likely to be rewarding.